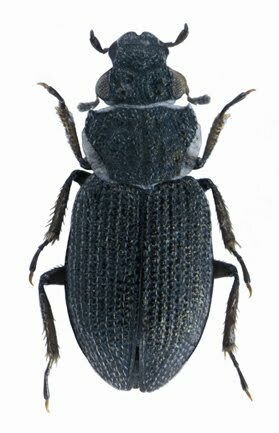 A biodiversity survey conducted by a team of scientists at Emirates Wildlife Society (EWS-WWS) has recently spotted two new rare species of insects residing in the UAE’s eco-conservation area of Wadi Wurayah mountain. The tiny creatures included a two-millimetre-long aquatic beetle and a velvet ant of five millimetres length, said an official at the EWS-WWS. Dr Christophe Tourenq, Science and Research Manager at EWS-WWF, told The Gulf Today that the species are new to science and not having been found in any other part of the world. They have been named after the UAE’s first mountain protected area- Ochthebius Wurayah and Nanomutilla Wurayahensis. “We discovered the insects in June and had to verify whether they exist in other parts of the world. Their presence has been attributed to the permanent availability of fresh water resources in Wadi Wurayah area,” he added. “The beetle is in the Coleoptera scientific category, while the velvet ant is a wasp species of Hymenoptera category. So far, a total of 1,350 species have been added to the list of species known in the UAE. 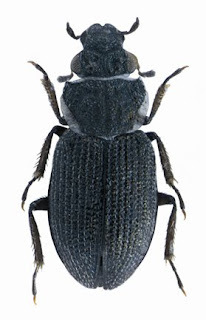 Of the 10 genera, 1 subgenus, 235 species and 6 subspecies of arthropods (Invertebrate animals having an external skeleton) new to the science that have been discovered residing in the country,” pointed out Dr Tourenq. He said that a total of 30 new species have been found living in Wadi Wurayah, out of which 14 were originally found in the protected area. “The UAE and the region generally are often considered a desert barren land, but the consistent discovery of various species in Wadi Wurayah shows the richness of biodiversity in the lap of desert,” he noted. “We have further proof of the area’s significance considering the habitat’s natural diversity and the presence of permanent water. Hopefully, we will discover more rare species in Wadi Wurayah,” he remarked. Including Dr Tourenq, scientists of EWS-WWS Maoz Hawaz, Lisa Perry and Nessrine Salawi, and biodiversity expert from the Fujaira Municipality Marral Shuriqi have involved in the survey. “Results of the survey are ready to publish as a series of books, edited by the project’s research coordinator and renowned scientist Anthony Van Harten. Three volumes of the series titled “Arthropod Fauna of the UAE” have already been published in tandem with over 250 specialists of arthropods from across the globe,” said Dr Tourenq. “Harten’s long and meticulous efforts have immensely contributed to the conservation of the UAE’s fauna,” he added. According to Harten, the only way to protect the enormous amount of insect species from extinction is to preserve the areas that support a diversity of insect species. “Many of such creatures are so tiny that they cannot be seen by the naked eye, and Wadi Wurayah certainly is such an area,” he said. “Five of the new species spotted in Wadi Wurayah are mayflies (Ephemeroptera), which spend most of their life as aquatic larvae. The adult mayfly’s life span is very short and can vary from just 30 minutes to one day, depending on the species. Because their mouthparts are vestigial, and their digestive system is filled with air, adult mayflies don’t feed,” he elaborated. “Insects are an important part of the Wadi’s eco-system, health and functioning. As predators, preys or detritivores, they are essential elements of the food web. For example, geckos (a lizard species) residing within Wadi Wurayah’s mountains are part of the diet of the endangered wild cats, and the geckos feed on beetles,” said Dr Tourenq.